We are qualified to and experienced in installing many types of gas ranges, both residential and commercial in Edmonton, Alberta. Although most homes in Edmonton have electric ranges, more and more are converting to gas ranges and for good reason too. They’re powerful, heat up faster, and overall give you better control of the heat for cooking. 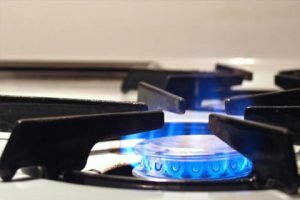 The crucial step when installing a gas range or a gas line for a new range in Edmonton is that it must be done by a certified gas fitter and in accordance to the proper permitting and city inspections. JW Brian Mechanical has years of experience installing gas ranges and gas lines for gas ranges. If you are in need of our services or have any questions related to gas ranges, please don’t hesitate to contact us.